Fluid Change | Just Shooting Memories! 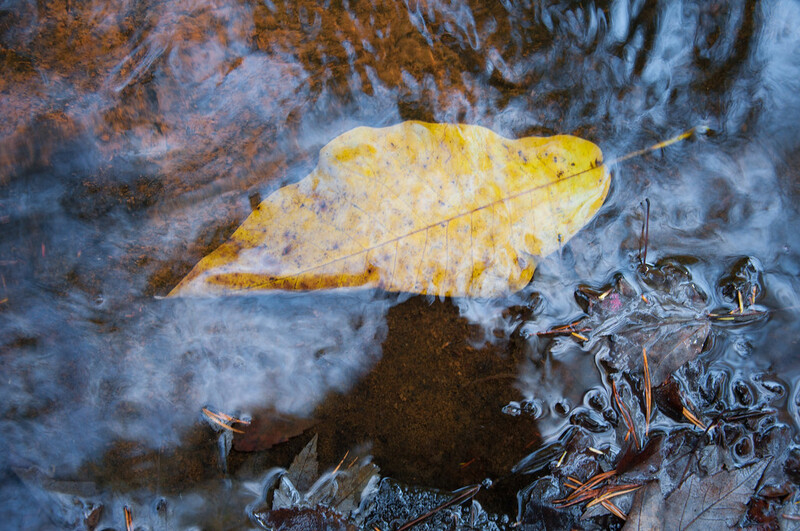 I was hiking back in the fall when I ran across this leaf gently rocking back and forth in the water of a small stream. Most of the time, I try not to be a deeply introspective person, but I had to stop (as long as the kids would allow) and look at this. Sure as the water flowing through the creek, this leaf will pass by also. However, next fall another one will take its place. It will be different, the same and yet still a leaf. No matter how things change, under the surface they remain the same.